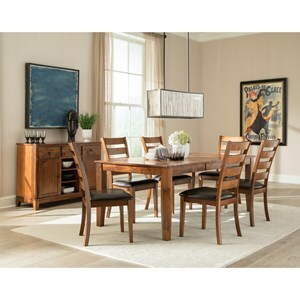 The Santa Clara Casual Dining Room Group by VFM Signature at Virginia Furniture Market in the Rocky Mount, Roanoke, Lynchburg, Christiansburg, Blacksburg, Virginia area. Product availability may vary. Contact us for the most current availability on this product. Case Construction Crafted from Solid Mango and Select Hardwood. Simply stunning, Santa Clara offers a variety of dining options to perfectly customize your dining space. 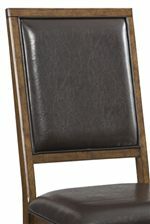 Choose from ladder back or upholstered styled seating from an array of stools, benches, and dining chairs. 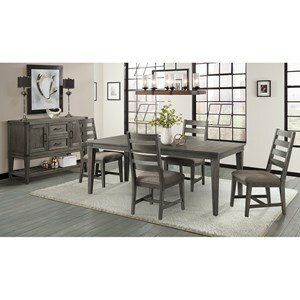 Counter and standard dining height alike, Santa Clara has exactly what your space demands. 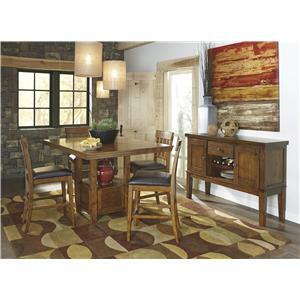 Dark upholstery, a rich brandy finish, and simplistic details give this dining group a timeless look. 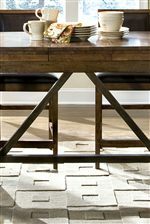 Trestle table bases are accented with Mortise details. Self-storing table leaves make it easy to adjust your dining space depending on the occasion and number of guests. Constructed from mango solids and select hardwoods, these dining pieces are made to last. Enjoy a lifetime of dining with Santa Clara's gorgeous design. 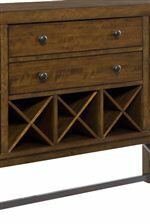 The Santa Clara collection is a great option if you are looking for Transitional furniture in the Rocky Mount, Roanoke, Lynchburg, Christiansburg, Blacksburg, Virginia area. 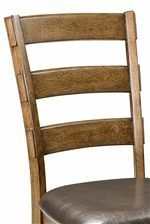 Browse other items in the Santa Clara collection from Virginia Furniture Market in the Rocky Mount, Roanoke, Lynchburg, Christiansburg, Blacksburg, Virginia area.